More than 5 percent of holiday returns in 2017 are expected to be fraudulent, according to retailers. That would put the total loss to retailers from return fraud—for just the holiday season—at more than $2 billion. Fraud statistics for the year suggest that retailers will lose more than $9 billion from fraudulent returns, according to data trends reported by the National Retail Federation (NRF). Kohl’s added a deadline of January 31 for “premium electronics,” replacing its open-ended return policy. Costco reduced its return period for major appliances from open-ended to 90 days. Macy’s now requires all returns in one year instead of allowing returns anytime. Other retailers implemented more strict return policies on the holiday’s hottest consumer items. For example, Target, Walmart, and Toys“R”Us all had shorter return periods for drones—14 days, 15 days, and 30 days, respectively. “Stores continue to “slice and dice” their return policies, creating complicated rules for different categories of items. Electronic items may be subject to shorter return periods than say, clothing,” according to the ConsumerWorld (CW) survey report. Overall, during the holidays, 21.3 percent of retailers enact tighter return policies, according to NRF’s 2015 Return Fraud Survey. In some cases, targeted return policies are taking specific aim at types of fraud. For example, CW notes that Express, Bloomingdale’s, and Nordstrom use “do not remove” tags on some clothing that must remain attached to deter “wardrobing”—buying and then returning after a one-time use. In other cases, return policies take aim at frequent return abusers. For example, Walmart shoppers can only make three no receipt returns within a 45-day period. “Walmart tracks returns in a database and may deny a return that exceeds the store’s limits,” notes the CW survey report. But for every retailer that is clamping down on holiday return fraud by tightening store policy, there appears to be a retailer who is willing to tweak their return rules to make them a little more lenient, according to the CW survey. One major retailer increased its return period for computer hardware from 15 to 30 days in 2017, for example. Overall, “most store return policies have remained about the same as last year,” according to the survey results. There is surely a limit to the extent to which retailers can fight fraud via more strict return policies. 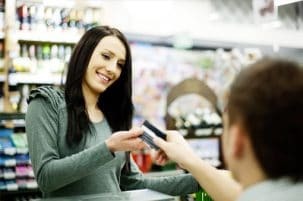 Many customers now equate quality customer service with flexible returns, so retailers are reluctant to cultivate a reputation for having a strict return policy. In fact, the opposite is often the case, with many stores building reputations around no-hassle returns. These stores especially would find it hard to tighten policies to cut return fraud losses. There is also a perception that stores with the most lenient return policies encourage shoppers to make more purchases in the long run, offsetting return fraud losses. Finally, there is risk in trying to attack return fraud by altering a policy that affects everyone—fraudsters as well as good customers—as it may harm customer satisfaction. Fraud statistics show that there are many types of return fraud. The most common, experienced by nearly all retailers, is the return of stolen merchandise. Nearly as common is working in collusion with a store employee to falsify a return claim, with 77.4 percent of retailers experiencing it, according to the NRF’s 2015 Return Fraud Survey. Other common frauds include returning merchandise purchased with fraudulent or stolen tender, which affects 76 percent of retailers, and wardrobing or returns of used, non-defective merchandise, reported by 73 percent of retailers. Returns using counterfeit receipts are less common but still experienced by more than 1-in-4 retailers in the NRF survey. Other retail scams include crooks that place computer-generated UPCs on top of the actual UPC so that they can purchase an item at a lower price and then return it for full price. Less technically sophisticated, but equally damaging, are fraudsters who scavenge for discarded receipts in dumpsters and then simply go through the store, picking up all the items on the receipt, and returning them for cash. More bold crooks may simply enter a store, grab an item from a display, and immediately return it for a refund. Because there are many types of return fraud—and because they evolve with technology and in response to security countermeasures put in place to stop it, it’s important for retailers to understand which strategies will do the most to combat the types of fraud it suffers. The goal should be to target the types of fraud that most undermine profits and to develop high-impact countermeasures to address those types. By using software to detect, track, and address offenders and offending patterns, retailers can develop a targeted approach to combating return fraud schemes. Ongoing analysis is also critical, as any measure that cracks down on one type of return fraud is likely to inspire a new return fraud scheme. Read Hayes, Ph.D., CPP, director of the Loss Prevention Research Council, believes it is a waste of time and money—not to mention a detriment to customer service—to attempt to target all fraudulent returners, especially since some forms of return fraud are defined by intent. He thinks it is a better approach to develop a system that accurately identifies “bad” or high-impact returners first by pinpointing the specific behavioral patterns characteristic of fraud and abuse.